Why are there limits to the financial gifts sponsors can send? Home >FAQs >Why are there limits to the financial gifts sponsors can send? We want to make sure that your gifts really do benefit families and communities in the long-term, which is why we put limits on the amount that can be sent. Ultimately, we want to enable communities to support themselves, so we don’t want to encourage a culture of dependency on gifts. Also, we don’t want to overwhelm families or single them out for special treatment, which is why we have limits in place. Individual Gifts, including birthday gifts between £8 and £75 can be sent to your sponsored child. Sponsors can make two individual gifts per calendar year with a maximum amount of £150 in total. Family Gifts between £20 and an annual maximum of £750 can be sent for the family of your sponsored child. Graduation Gifts between £8 and £1,500 can be sent during your sponsored child’s final year in the Child Sponsorship Programme. If you’d like to make a large donation to support the work of Compassion, it’s best to get in touch with us directly and we can suggest how your donation can make the greatest impact. We have a number of RESPOND Initiatives, which supplement the work of our sponsorship programme, and could be the ideal way to ensure your gift makes a real and lasting difference. What are the terms and conditions for text giving for the Different Path Appeal? Will all donations made to the Different Path Appeal be matched by Aid Match? 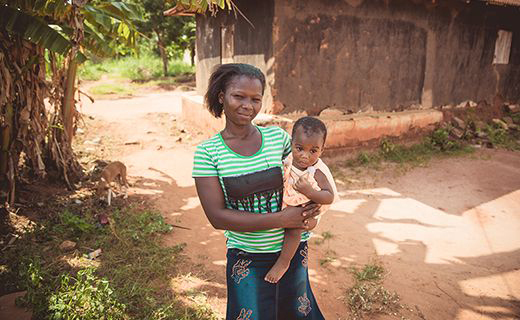 How much of my Different Path Appeal donation will actually go to mums and babies in Togo?